Spring is here and Summer is just around the corner! Now, time to get your home ready for all the warmer days of entertaining ahead! Christmas, NYE, Australia Day, BBQs, long lunches, dinner parties and any planned (or unplanned) cheer these holidays! 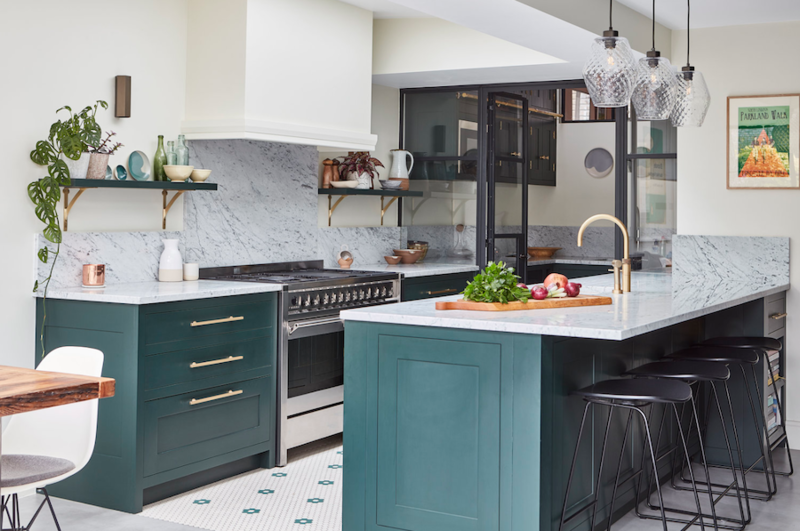 To help you get started, Milray Park Designer Jessi Eve has shared her best tips to tackle your spring home makeover. Welcome the warmer months by updating your colour scheme. Swap out your moody winter tones for lighter, brighter colours that reflect the climate. This can be as simple as swapping out some cushions and throws, updating your bedlinen or changing up some of your wall art. Adding a touch of greenery to the home always helps to liven up any space, especially when opting for those leafy palms that create all the summertime feels. 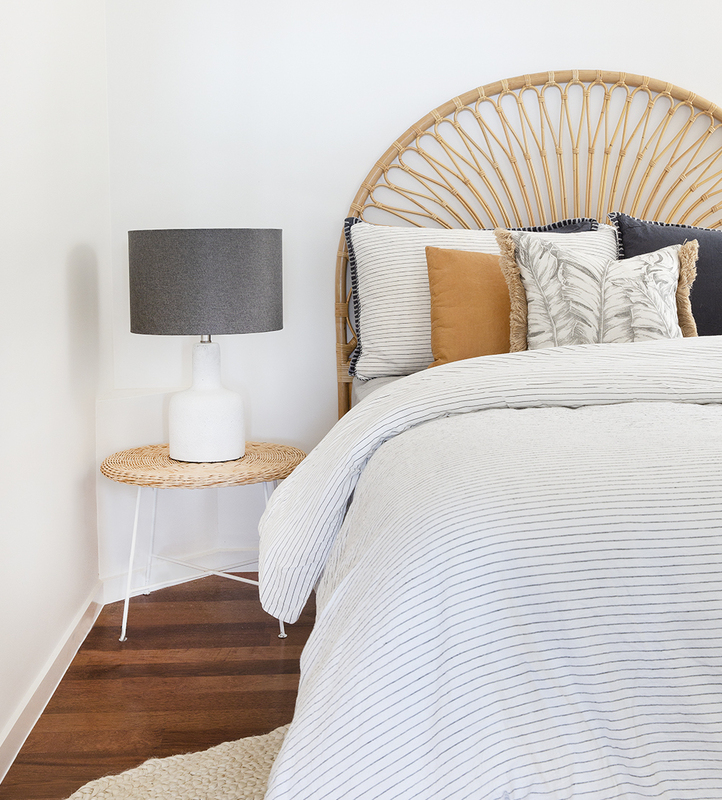 It’s time to say bye bye to the chunky knitted wool throws and extra bedding layers and opt for things simple and comfortable for those humid days and balmy nights. To keep the lovely soft furnishings in the mix, get those lightweight linen throws out, putting away the heavier velvet and cable knits. This way you’ll be able to keep the space feeling light, airy and breathable. Nothing beats all-white interior walls when creating that light and airy, Summer-all-year-round vibe. If your dark interior walls don’t suit the Summer-mood you want to achieve, a fresh coat of white paint could be just what your interior needs to give it new life! 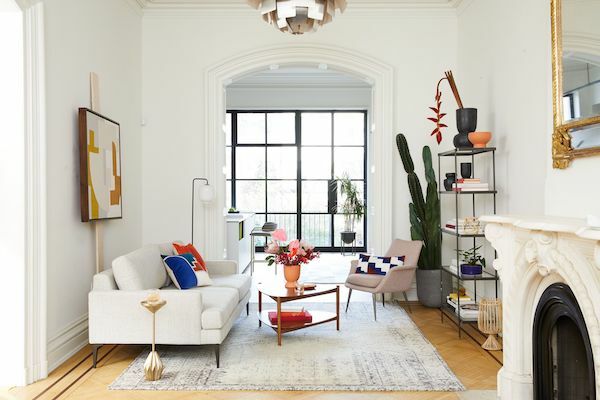 It will not only brighten the entire space and enhance the natural light but you’ll also be amazed at how different your furniture and decor can look and feel. By simplifying the colour scheme with white walls, your furniture will pop and you can add in more colour or depth through decorating elements. Another plus for white walls is that you can easily change up your colour scheme from season to season without being too tied down to just one specific colour. 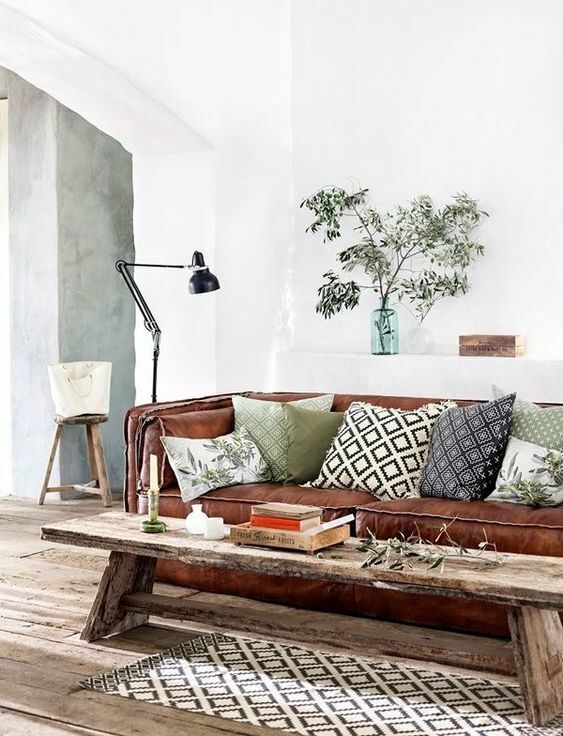 Add natural textures such as timber, jute and rattan to amp up the Summer holiday vibes. 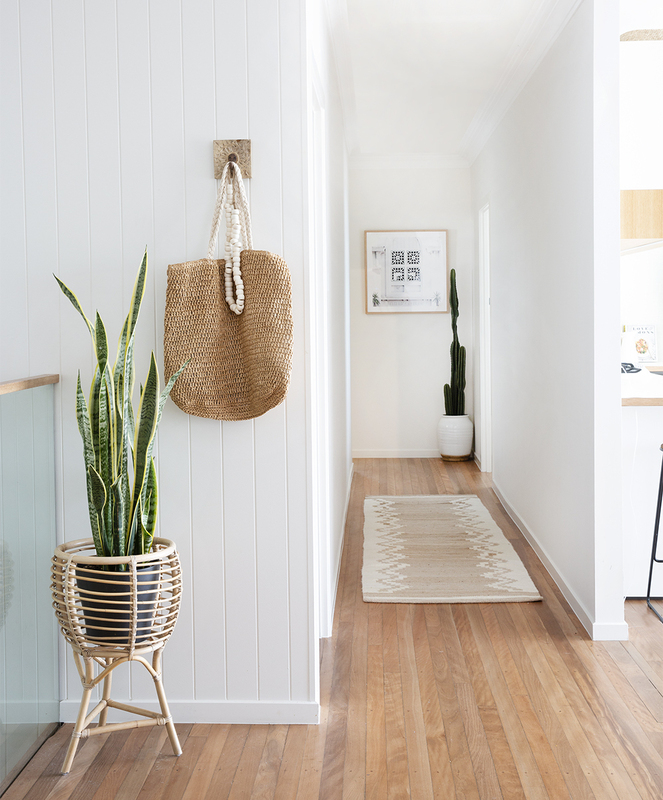 Nothing says ‘laid-back and relaxed’ like a natural jute rug in your living room or hallway, a rattan plant stand or pendant lighting and timber accents such as photo frames and wall hooks to hang your straw hat and beach bag as you walk through the door. Make the most of nature’s gifts this season by adding some fresh blooms to your interiors. 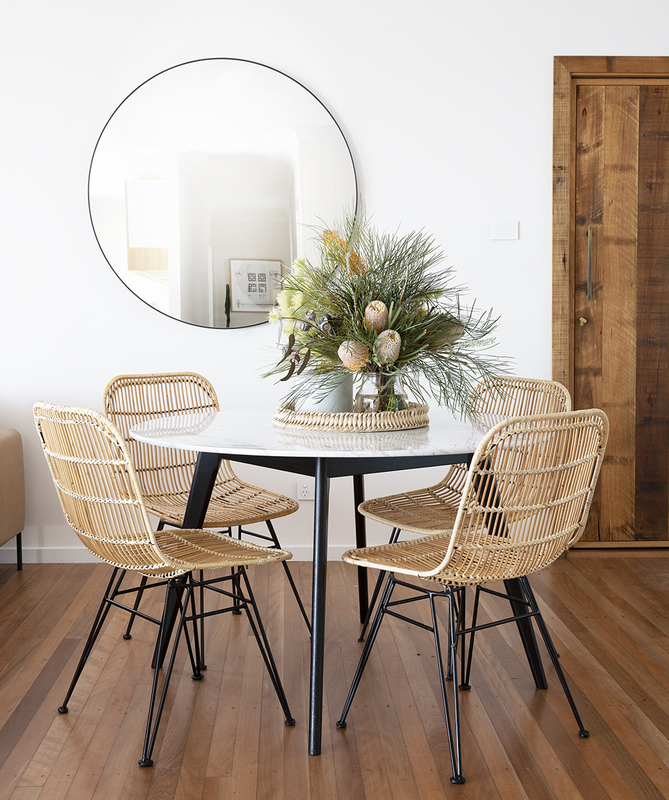 Whether you treat yourself to a curated arrangement from your local florist, grab some of your favourites from the weekend markets or pick them yourself from your own/neighbours garden – the look and smell of fresh florals make such a difference to the overall feel of your home. Even a single vase on the dining table or entry console is enough to have an impact and pretty things up. 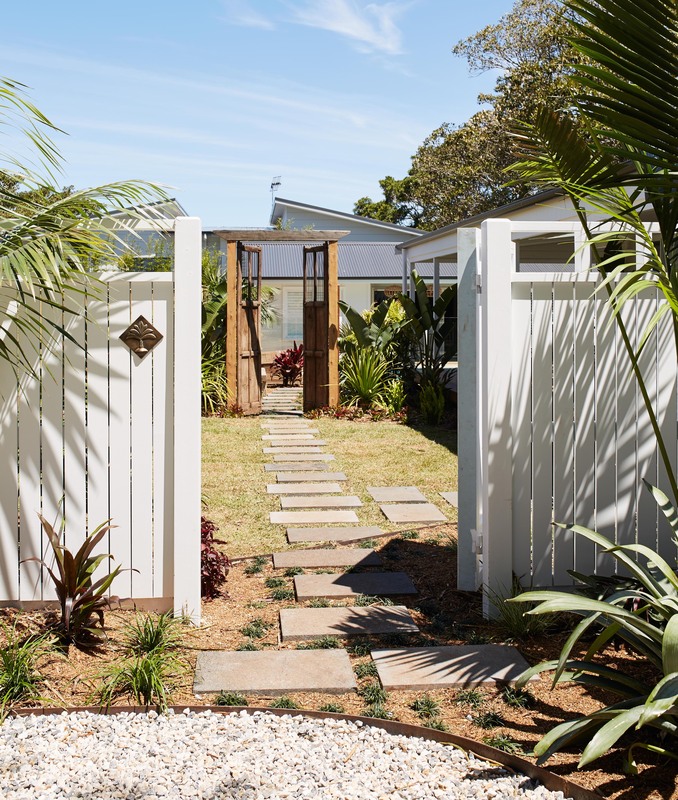 Whether you like to entertain or not, having a functional and aesthetically pleasing outdoor space can make all the difference to the way you live in the warmer months. If you have the space for it, you might add an outdoor lounge setting or daybed with loads of cushions to recline on with a cold drink in hand or even a large dining setting to invite family and friends over for a BBQ. If you don’t have as much space to play with, you could add a 3 piece cafe setting to your balcony to enjoy your breakfast alfresco-style, or a hammock to doze off in whilst reading a book. 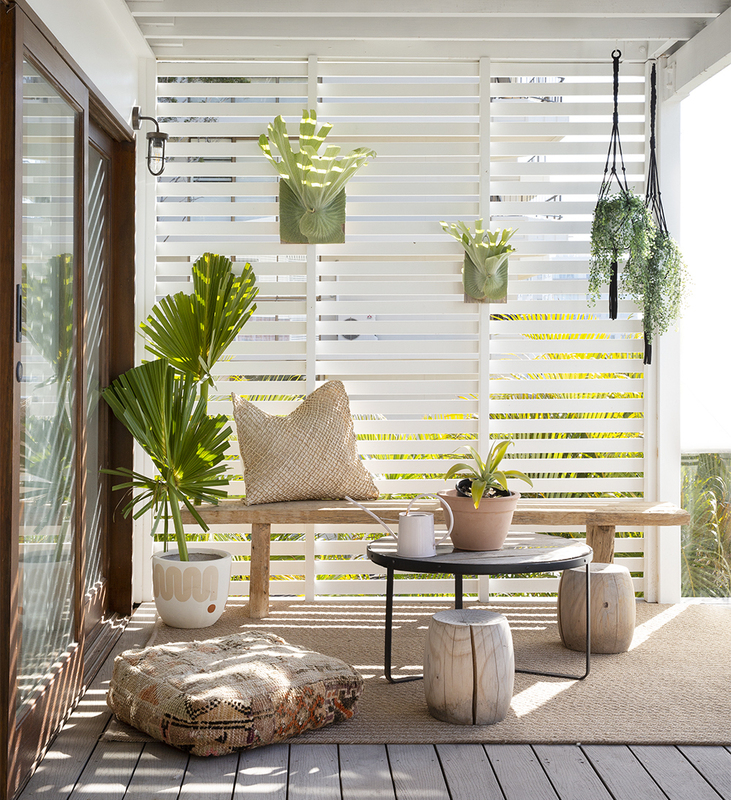 Regardless of your space outdoors, you can always make it feel that little bit more inviting by adding simple touches like cushions, festoon solar lighting and some lush greenery. It’s the perfect time to be outdoors, so make the most of it. Now is the time to be adding some new plants, fresh mulch chippings or stones and getting rid of those pesky weeds! Come the Summer months, the work you’ve put in all Spring will need to be maintained with regular watering to keep things looking healthy. Need some extra help tackling your Spring home makeover? 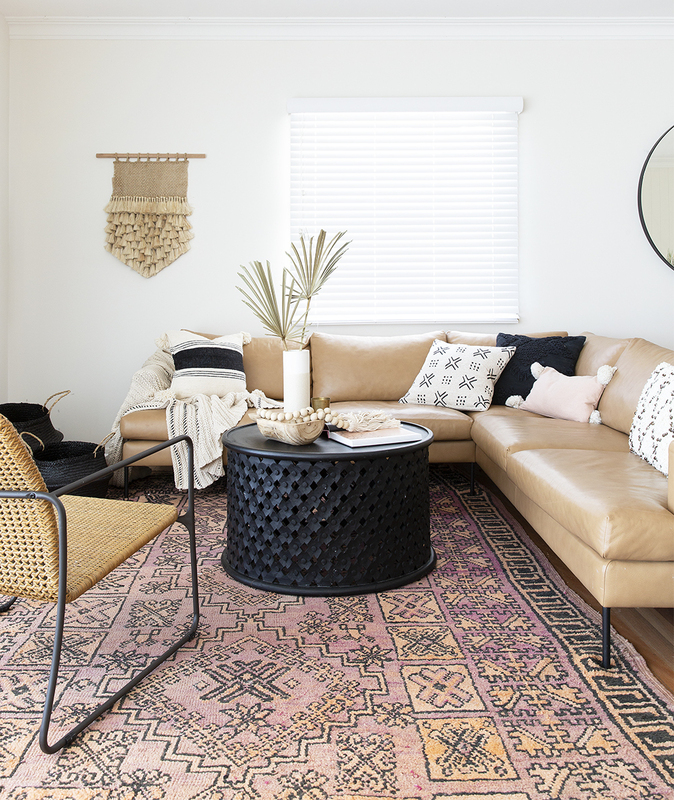 Milray Park gives all Australians access to personalised interior design service online for one simple flat-fee price from $299/room. * Promocode JESSI50 is only valid on first design project started with Milray Park Designer Jessi Eve.